The International Journal of Cardiology is devoted to cardiology in the broadest sense. Both basic research and clinical papers can be submitted. The journal serves the interest of both practicing clinicians and researchers. In addition to original papers, we are launching a range of new manuscript types, including Consensus and Position Papers, Systematic Reviews, Meta-analyses, and Short communications. Case reports are no longer acceptable. Controversial techniques, issues on health policy and social medicine are discussed and serve as useful tools for encouraging debate. International Journal of Cardiology has no page charges. A reduced personal subscription rate is available; please apply to the Publisher for more information. A reduced personal subscription rate is also available to all members of the International Society for Adult Congenital Heart Disease Please apply to the ISACHD for more information. 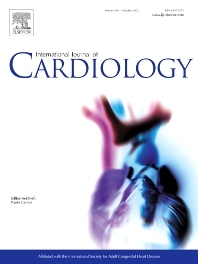 Personal and member subscribers can access the journal online via: http://www.internationaljournalofcardiology.com. Institutional subscribers can access the journal online via ScienceDirect. For more information, please go to: http://www.sciencedirect.com.